The four-year anniversary of the largest marine oil spill in history is coming up in April, and it’s a heartbreaker. . . literally. 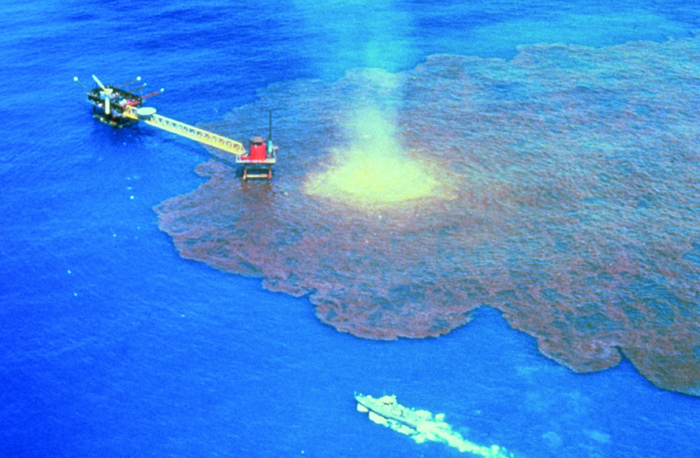 In April 2010, the Deep Water Horizon oil spill dumped an estimated 210 million gallons of oil into the Gulf of Mexico. In addition to the devastation we could see–sea birds and turtles smothered in black crude, beaches covered and unusable– there were many affects we couldn’t see. Among them, deformed hearts in young tuna fish. Yesterday the journal Science published a study by researchers from NOAA and Stanford University that explains exactly how chemicals in oil spills cause heart damage and deformities in young tuna fish, including some species that are considered threatened or endangered. Understanding the details of how these toxins effect sea life will help scientists monitor the environment and measure the long-term effects of oil spills. Read about the effects of oil spills on tuna in this article from the Los Angeles Times, or check out the abstract of the scientific article in the journal Science. See March 25th update on this issue from NOAA /with photos of larval tuna that show heart malformation.